This had to be my most anticipated session of the year. 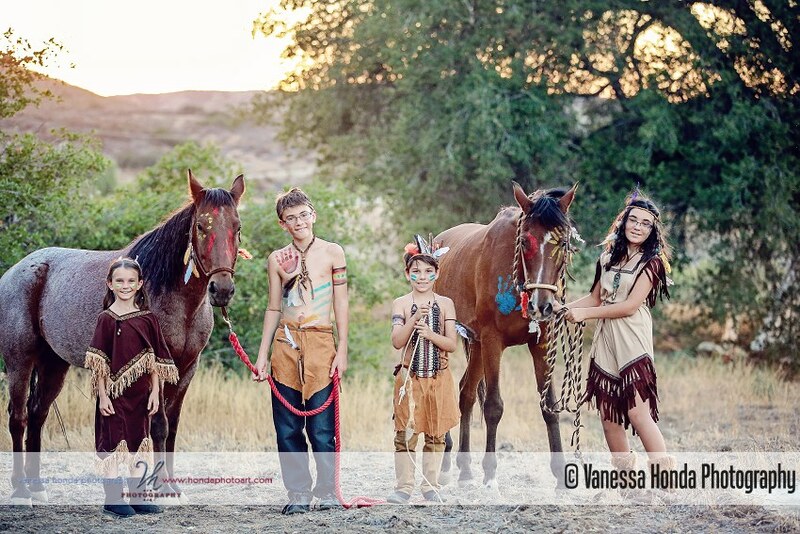 It was inspired by my horse, Nick, who always reminded me of a good little “Indian” pony. 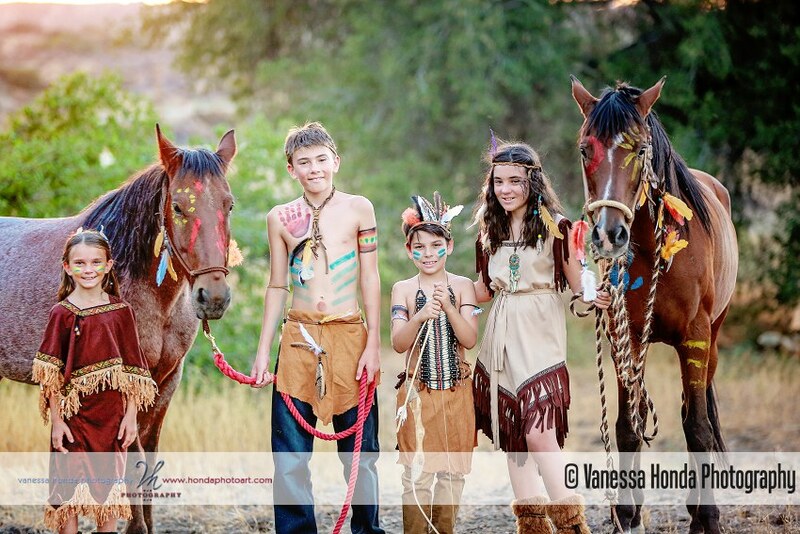 I got it in my head that I would love to have him all dressed in war paint like a Native American Indian pony and get some photos of him. 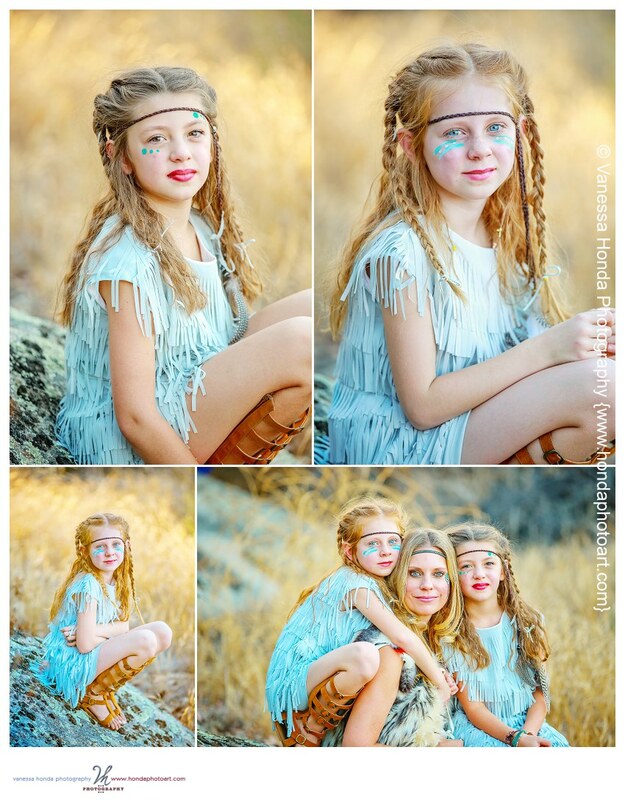 So I was delighted when I convinced one of my favorite clients ever to collaborate on fun themed photos shoots to go with a Native American theme for their Halloween costumes this year. 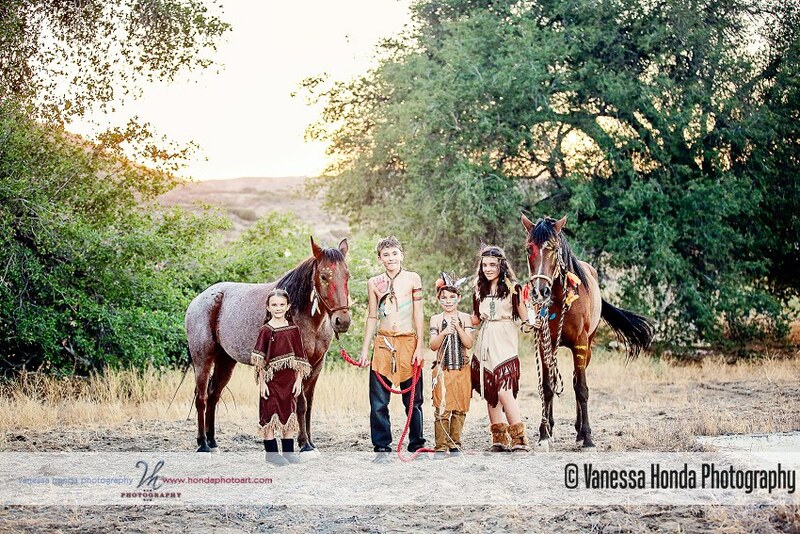 Their family is so gorgeous I knew they would make Nick look great – as well as their beautiful ranch being a great setting. 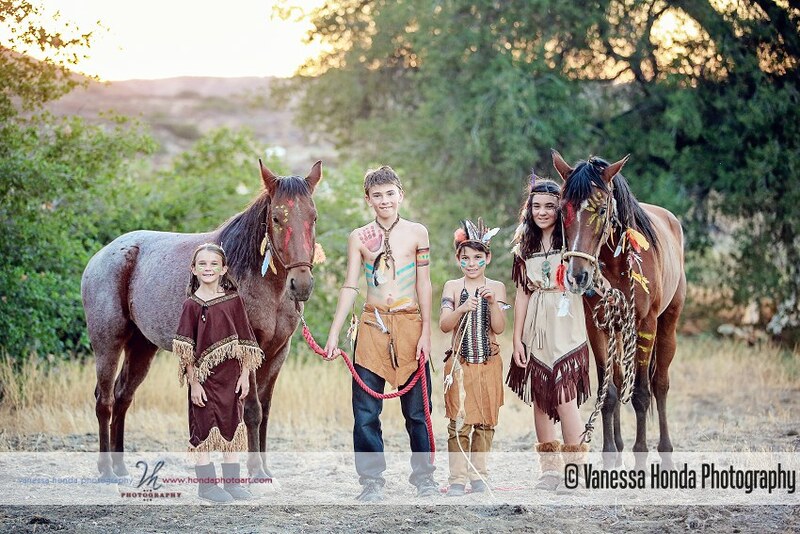 As we planned it, this styled shoot grew in proportion to include three families, including my own – and so very many moving parts – props, animals, costumes and kids! It was a LOT of work to put together, but the end result was just what I had hoped for. 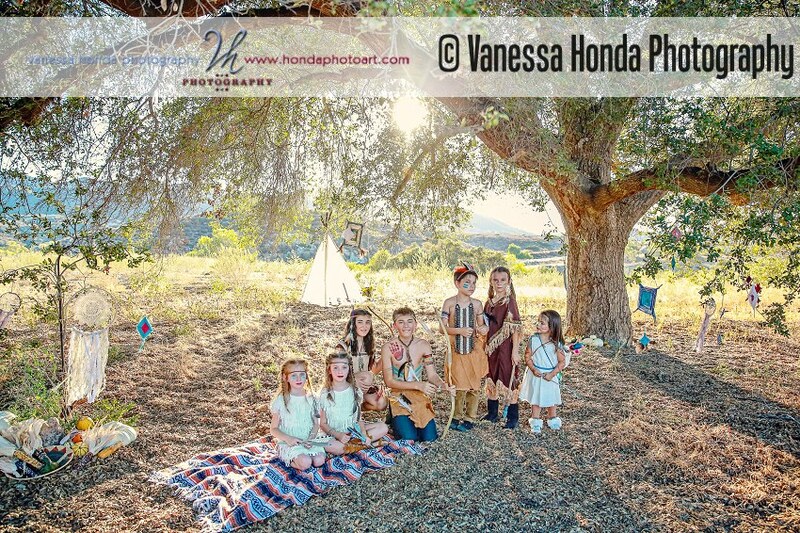 This blog entry will just feature my favorite twin clients and I’ll get my own family and another family here soon on the blog! For now, enjoy these fun images!